Ready made church furniture can be shipped to your church fast. Custom church furniture, on the other hand, takes time to build. Which is the best way to go? If a custom church furniture builder has more orders in, it’ll take longer to complete your order. 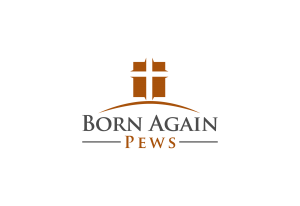 At Born Again Pews, we pride ourselves on being as flexible as possible to get your church pews to you on a reasonable schedule. If you have a big event coming up that you’d like new pews or church furniture for, we try to accommodate it as much as possible, including coordinating with other parts of a remodel. If you don’t have an event you need new church pews for, you may not be in a hurry. The furniture you’re replacing has been in place for a while, in all likelihood, and can stand up to the task for at least a few more Sundays. Custom church furniture is often better quality than the pre-made alternatives. Pre-made furniture can have quality issues, especially furniture made on conveyer belt assembly lines in foreign countries. All of our church furniture is made by hand in our workshop in Oklahoma with painstaking attention to detail. Even more importantly, custom church furniture will suit your church and fit your needs exactly. That’s extremely important. Church pews are never an impulse purchase. We know you’ve put a lot of thought and prayer into your church furniture decision, so it doesn’t make sense to rush it now.